Although I have not been to all that many cities across the globe, I have been to a few, and regardless I know that Venice will always be one of my all-time favourites. It was my last stop on my European travels of early 2014 and boy was I excited. I had decided to leave Paris a couple of days earlier than my friend and travel south by myself in order to visit this beautiful city during its most magical weekends- Carnevale. The Eurolines bus journey was far from pleasant, with very few spare seats and 19.5 hours later via every other Italian city imaginable, we finally pulled up at Venice’s Mestre Train Station on the mainland. After about 15 minutes we all realised we weren’t going anywhere and needed to buy a train ticket across to Santa Lucia Station and we were off. 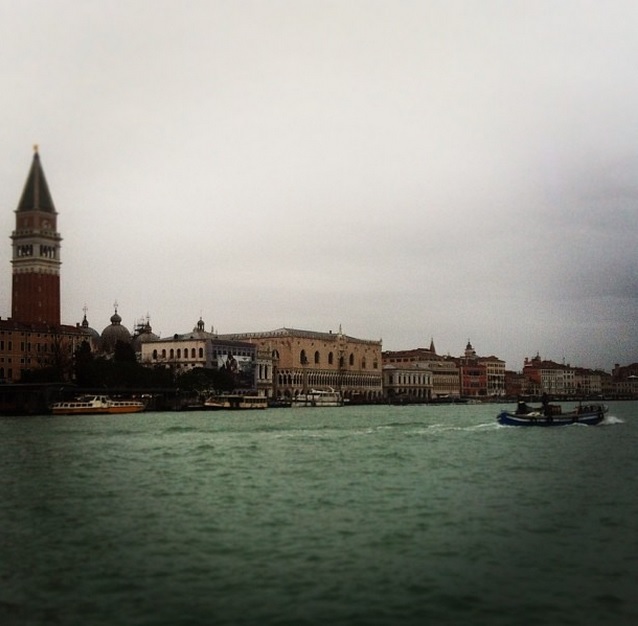 Although I had been to Venice before, trying to navigate the Ferry system and the streets and alleyways of Venice alone, in the rain, was difficult. But what doesn’t kill you makes you stronger they all say, and finally I reached the most magnificent Hostel I have ever had the pleasure of staying in my lifetime. The Silk Road Hostel is a small hostel like many in Venice and it boats a 90% rating on hostel sites -although I would give it hands down 100%. Down a little alley just by the Giudecca Canal, it is by a lovely promenade with a supermarket, delicious pizza and gelato- what more could you want?! Alex is the most welcoming and accommodating of hosts of I have ever come across and I can’t wait to go back and stay there again. It was here I met two lovely ladies that had come for the weekend from Slovenia where they were doing exchange and after only 5 minutes of an introduction, we were off exploring together. 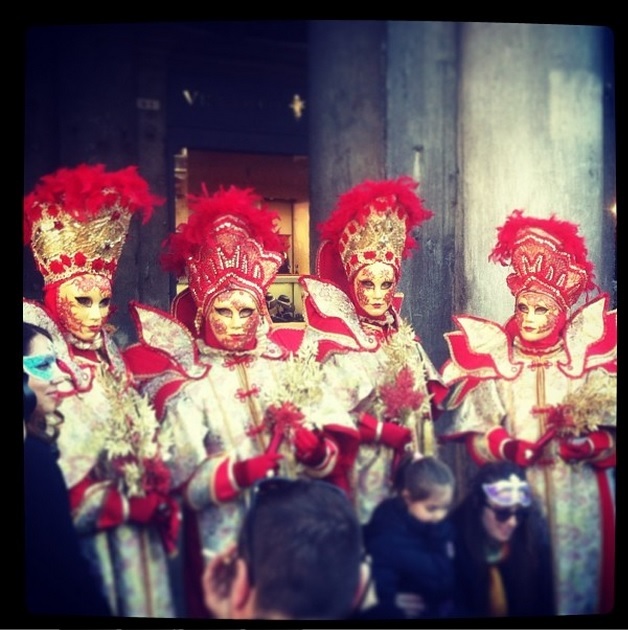 Carnevale is something you cannot imagine. The bustle, excitement, beauty of it all is just overwhelming and I have so many beautiful memories that I will treasure forever. Watching the Flight of the Angel as well as the Grand Theatre in St Marco Square are two experiences I will never forget. 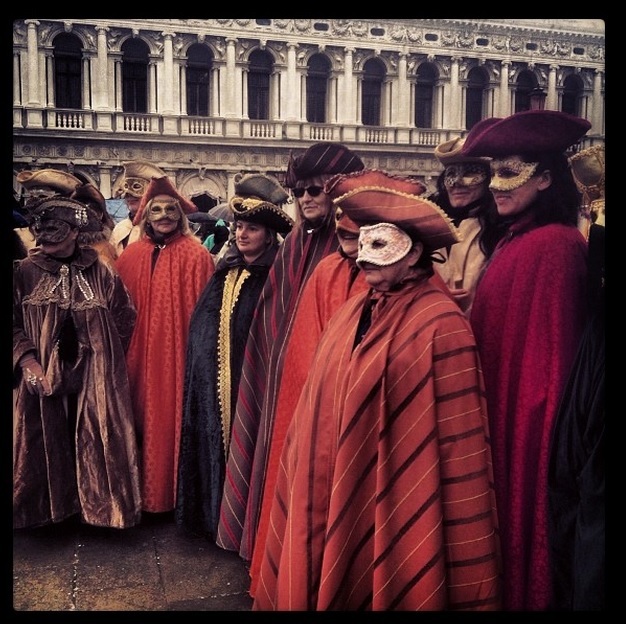 The magnificent costumes, the voices, the masks, Venice is at its most beautiful during Carnevale despite it being the end of Winter. After my friends had to leave back to their classes I had no pressure from other people to go anywhere or see anything in particular. The rain managed to hold off for most of the weekend as I traipsed up and down bridges, round corners, getting myself lost then finding my way again. I bought a beautiful mask that now acts as a reminder of the beautiful time I spent with my new friends Maria and Nora, Alex when they had left, as well as myself. There is no doubt I will be back to this enchanted city again sometime soon, I cannot resist for long its beauty and uniqueness. I would love to return during this magical time and splash out on a Grand Ball, unfortunately by the end of my 6 weeks away, my bank account did not allow me to splash out a couple of hundred euros for such a cause, I just hope one day it will. Until next time I will continue to glance at my beautiful mask as a reminder of the magic that appears during the magnificent time of Carnevale.